This week’s Indie Author Weekly Update includes posts on Audiobooks, marketing, and information on how to secure book reviews. Enjoy them all! 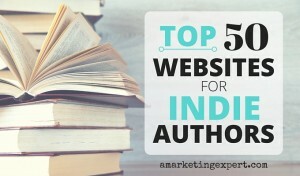 Today’s Indie Author Weekly Update contains the most diverse content I’ve featured in a while. Enjoy these posts from Dave Chesson, Sandra Beckwith, Jane Friedman and others. Welcome to another edition of the Indie Author Weekly Update. This week’s edition covers everything from saying good-bye to Google+ to pen names to a Reedsy service. I hope all of the posts here help you in your endeavor to sell more of your books.